Muffin Break has become Mother’s Break! We are celebrating mums until Mother’s Day with our Take-Home 4 Pack of muffins $12.00 offer. Pick a combination of any four of our freshly baked muffins to take home and receive this special deal. 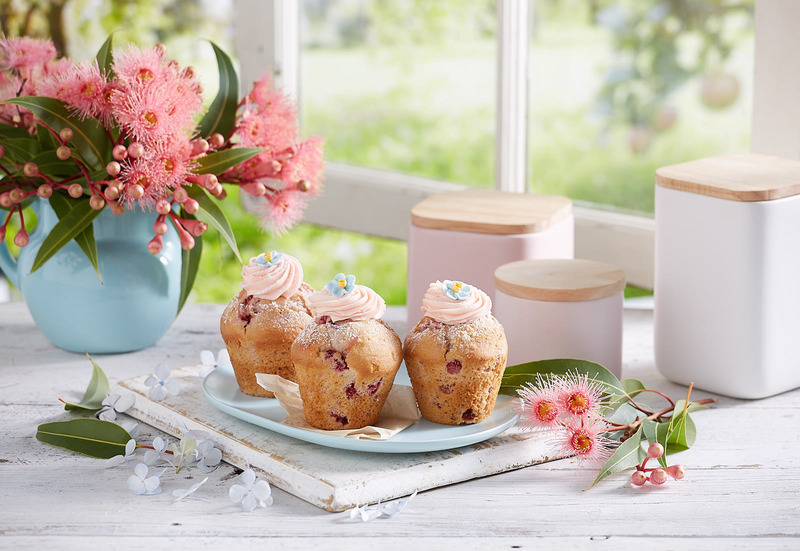 All muffins sold from 16th April to Mother’s Day will come in beautifully designed muffin box. 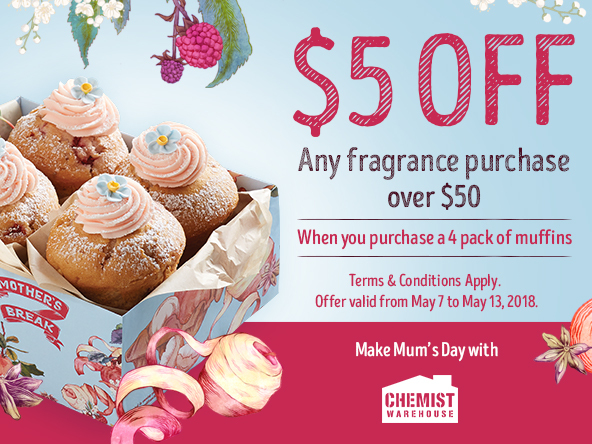 Receive $5 off any fragrance purchase over $50 at Chemist Warehouse when you purchase a take-home 4 Pack of muffins $12 offer at Muffin Break. You will receive a discount voucher when you purchase the four pack. We have developed a special muffin only a mother (and everyone) could love! Our muffin creation is much “lighter and fluffier” than our usual traditional muffins. The muffin is filled with raspberries that give it a pungently sweet fruity taste throughout. Topped with a pink buttercream icing and adorned with an edible blue daisy flower. 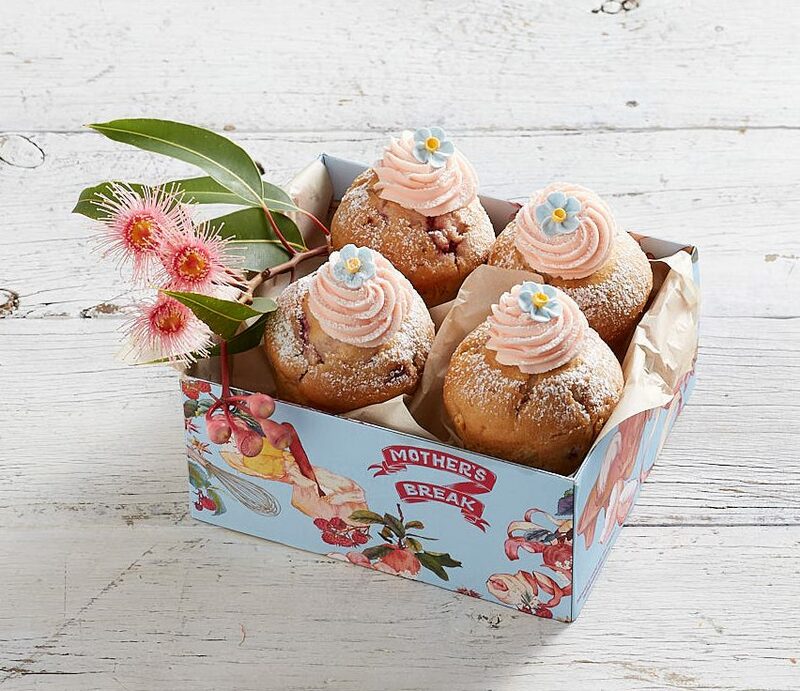 Pop into your local Muffin Break store before Mother’s Day to enjoy a 4 pack take-away muffins for $12.